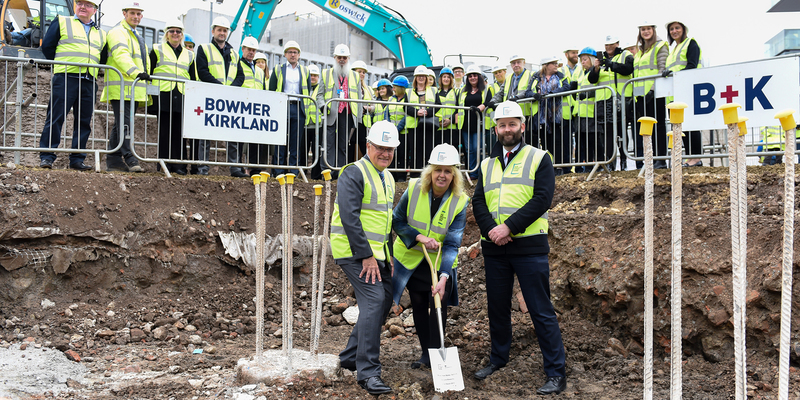 HM Revenue and Customs (HMRC), the Cabinet Office and the English Cities Fund have celebrated the ground breaking of the new 157,000 sq. ft. 3 New Bailey development in Salford, Greater Manchester. HMRC announced in March 2018 that it would let the entire building on a 25-year lease, in a landmark deal that will see a new regional centre open, with around 2,400 civil servants moving into a state-of-the-art new home by Spring 2022. HMRC is leading Phase One of the Government Hubs Programme – the Government Property Agency’s strategy to transform the Government Estate. It aims to drive efficiencies for the taxpayer, boost the UK economy by freeing up much needed land and property, and provide a modern working environment for civil servants.